Hello everyone and welcome back to my blog! In today’s post I would like to spend a few words to talk about what I have been doing for the last four years. 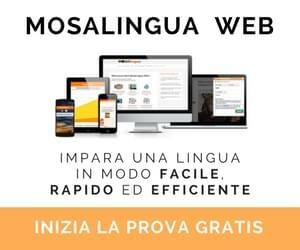 My experience online has been great so far, I really enjoy creating and sharing content about Italian language and language learning in general. I really think it is what I would like to do for a long time. At University I studied translation studies and both my degrees are in translation. I’ve always wanted to become a translation because in my head, when I was a teenager, all translators were cool professionals, working a job they loved and I thought they would lead a great life. With years and experience I have learned that the working situation is a bit different from my initial idealization of it. But aside from this, I have always had a thing for foreign languages. I love working with languages and I feel like that’s what I am supposed to do in life. 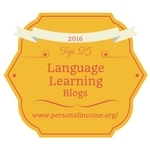 Then of course I am a nerd for social media and internet, so that was a match: working with languages online! However, not really any language, but my language, Italian. If you have been following me for a while, you will know that I first started this blog in my room when I was studying in Trieste and only after realizing that I needed audio to my written post, I actually started my YouTube channel. 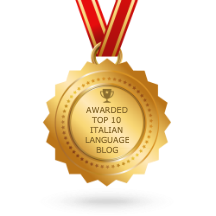 Back when I started, I would have never expected the response and appreciation I now get for my video lessons and I am extremely glad to be able to help many people around the world, students and lovers of Italian. It might not seem like it, but I have actually worked quite a bit all this time, trying to build my channel and my audience of students, all of that while studying to get my degrees. Now that I am done with University (not sure about this, though! ), I can actually put a lot more work into it. I also teach online on the side, which takes a lot of my time on a weekly basis, but I try my best to continue creating free lessons. For this reason, I have been debating for some time now whether I should open a Patreon page and let students support what I do or just give up on the idea. The first time I thought about doing it was when a student, circa one year ago, actually asked me why I didn’t have a page on that platform, given all the valuable lessons I had made available on my channel for free until then. Ever since, I have been wondering if it was okay to ask my viewers a financial contribution. Today I have decided to give it a try. As you can read on my Patreon page, feel free to support my video lessons only if you have found them beneficial in some way for your learning and if you have enjoyed watching them. Thank you so much for watching my video lessons. I am truly thankful! Congratulations on taking this next GOOD step in your growing internet endeavor! I encourage everyone who has benefitted from your generosity of heart will choose to support you (as able) so you can continue providing us with such wonderful help and motivation! Wishing you well-deserved prosperity for your hard work and talent, and “grazie di cuore” for sharing your beautiful language with others like me! Lucrezia, I have followed you for quite awhile now and would be happy to contribute because your videos have helped me tremendously. I went to the Patreon website and there are monthly donation options. Is it possible to make a one-time donation? Tante grazie! Yes! There must be a one-time option, I’m sure! I don’t really understand what patreon means in practice. Could you let me know? I’m coming to Rome between 19 March and 18 April. Where could I take some Italian lessons? Absolutely love your youtube lessons – you are so creative. Congrats! The future of everything is online. Your creative and enthusiastic approach will grow with Patreon. Open up a Patreon page for contributions. You’re the future of Italy, do things for yourself and be creative and do it yourself — You embody this! I hope your enthusiasm, creativity, and zeal for social media can inspire other young Italians! Thank you so much for your kind words, Dave! !